Item Number: 266-7-811 17932 Actual Weight: 33.5 lbs. 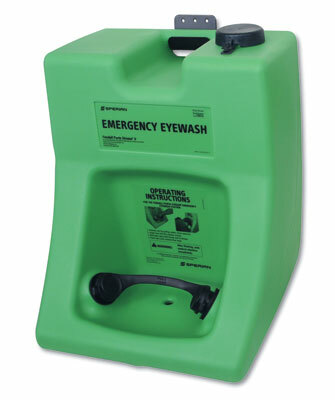 Use when you need portable emergency eyewash care. Porta Stream II with saline concentrate provides 15 minutes of flushing and meets ANSI Standard Z 358.1-2004. Station includes pull strap, installation and operation manual, and metal hanging bracket. Water additive and saline concentrate refills also available.